Shashi Tharoor said he believed India was colonised under the British, for Prime Minister Narendra Modi, India's colonisation started with its Muslim rulers. 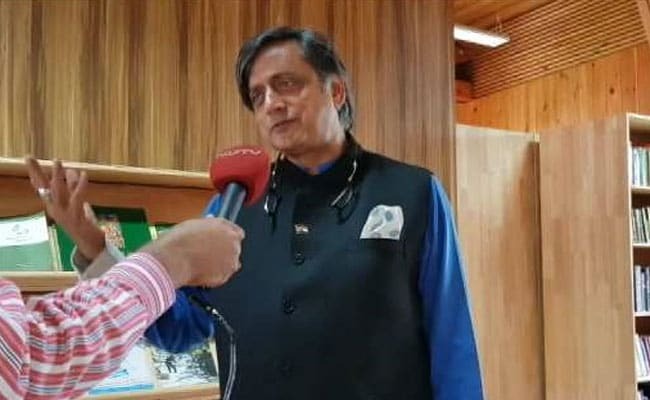 Shashi Tharoor accuses BJP of using history as a "battle axe"
Congress lawmaker Shashi Tharoor launched a scathing attack on the BJP on Saturday, accusing the party of using history as a "battle axe" to advance political agenda. Speaking at Mountain Echoes Literary Festival in Bhutan's capital Thimpu, he said that while he believed India was colonised under the British, for Prime Minister Narendra Modi, India's colonisation started with its Muslim rulers. "History has become contestant territory in our country. We have seen this starting with the Ram Janmabhoomi movement which was the first major nationwide effort to essentially take revenge upon history... You can't undo what was done centuries ago and simply create new wrongs and injustices against people who are innocent of the old wrong doings," he said. "Today battles are about the present and history is being used as a battle axe... When I speak of 200 hundred years of foreign rule, our prime minister speaks of 1,200 years of foreign rule," he said. "I am talking about the British who came and ruled us for the benefit of a country far away. For the Prime Minister, Muslim rulers who originally came to India to rule but stayed in India, assimilated and intermarried are also considered foreigners. To me they are not foreigners. If they stole and looted, they spent their loot here. They did not send it back to another country like the British," Mr Tharoor said. 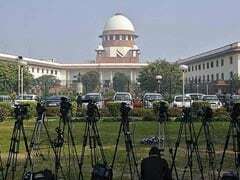 He said such a hostile political atmosphere in India has made bipartisan efforts practically impossible, citing a personal experience of stitching a cross-party panel on air pollution. "I on my own initiative assembled a bunch of NGO experts for a roundtable on air quality. We have an air quality crisis in a country... I invited a number of BJP MPs and they all pulled out before the event. What is worse is a party currently flirting with the BJP got instructions from the leadership... because a Congress MP is organising it," Mr Tharoor said. However in some areas, parties do manage to find common ground, he said. "I would say on foreign policy issues, we are largely bipartisan. I have always argued that there is no such thing as a Congress foreign policy and a BJP foreign policy. There is only Indian Foreign Policy," Mr Tharoor said.